Bangalore - Hit by several top-level exits, Infosys on Thursday undertook a major shake-up bringing in for the first time an outsider, Vishal Sikka, as CEO and announcing that mentor N R Narayana Murthy and his son Rohan will step down four years ahead of their tenure. 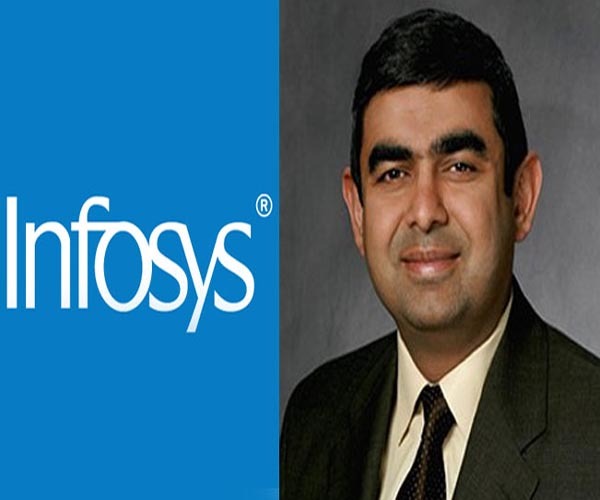 Sikka, 47, who was previously executive board member of German IT firm SAP, will replace S D Shibulal, one of the seven engineers who founded Infosys in 1981, from August 1, Infosys said in a statement. Along with Murthy, who upon return from retirement in June last year wanted five years as chairman to turn around the sagging fortunes of Infosys, Executive Vice Chairman S Gopalakrishnan will also step down on June 14. Since his return, Infosys had seen 11 top-level exits including CFO V Balakrishnan, global manufacturing head Ashok Vemuri and President BG Srinivas. Murthy will be replaced veteran banker K V Kamath as non-executive Chairman of the Infosys board. Infosys said the chairman's office would be dissolved and Rohan, who was brought in by his father as his executive assistant last year, would leave the company on Saturday, when the annual shareholders meeting is held in Bangalore. Murthy will be designated chairman emeritus from October 11, the day Kamath will assume the role of non-executive chairman. Sikka, who quit SAP in May, comes in after four straight years of narrowing margins at Infosys. He will also be the company's managing director. A Stanford University computer science Ph. D. Graduate, Sikka oversaw the development of new products, including a platform for quickly analysing large databases, as chief technology officer at SAP, the world's largest maker of business-management software. The Infosys scrip fell 0.38 percent to Rs 3,166.60 at the close on the BSE, after the day's high of Rs 3,298. Infosys elevated UB Pravin Rao, President and whole-time director, as Chief Operating Officer with effect from June 14. Welcoming Sikka, who was selected from among four contenders, Murthy said, "Vishal is a wonderful leader and technology visionary. "I come from a teaching family where the highest chair is given to an intellectual. Sikka is a true intellectual. He has obtained a doctorate from Stanford University, which highlights his brilliance." Sikka is also credited with the turnaround at SAP with HANA, an in-memory data platform that can be deployed both on-premise or in the cloud. "I am honoured to lead Infosys... Computing technology is reshaping every industry across every walk of life. We, at Infosys, have a unique opportunity to deliver breakthrough solutions that will bring greater value to our clients, employees, investors and other stakeholders," Sikka said. Infosys said Srinath Batni, a whole-time director, would step down from the board on July 31. The company promoted 12 leaders to the position of Executive Vice President with additional responsibilities. Analysts feel Sikka's appointment may bring down the curtain on a year of suspense, which saw 11 senior executives quitting Infosys after Murthy was brought back from retirement in June last year to head the company and put it back on a high-growth trajectory. "The key thing is that uncertainty has ended. The first few months of Murthy's comeback were spent unravelling the product strategy and handling these exits," Gartner Vice-President & Regional Director India Partha Iyengar told PTI. "I can't say for sure but the wrath of departures brought in a sense of urgency in announcing the next CEO. It is probably the best news in a long time," he said. Angel Broking's VP Research Sarabjit Kour Nangra said the entry of the CEO is the much-awaited news as the company has been searching for a chief while facing the exodus of key employees. Sikka, who brings with him over a decade's experience of products at SAP, said: "Over the next six-seven weeks, it will be my endeavour to learn about the company and help inspire employees to work towards the opportunities ahead of us." "My first task here is to learn, I have to learn a lot about the company, I will be taking classes at the Infosys Leadership Institute in Mysore," he said. On the road ahead, Sikka said the distinction between products and services is rapidly blurring. "The most sophisticated products... Are aircraft engines and today they are sold as services," he said. Shibulal, who steps down as CEO on July 31, said: "I was responsible for the relationship with SAP and I worked with Vishal Sikka back then. In each of our interactions, I was amazed at his insights into how we can use technology to bring about a change and that's what we do at Infosys." On Rao's promotion as COO, Kamath said, "After we zeroed in on Vishal, we decided we needed an insider to support him. That's why we decided on Pravin, who has led by example." "There were four external candidates and a long list of internal candidates. Sikka was a clear candidate," he added. Murthy said he will not be involved in day-to-day activities and he looks forward to spending more time with his grandchildren and reading up on computer science. "As a South Indian, I did not know what Sikka means. He told me it means money. So Vishal Sikka means lots of money, big money. This is what we need for Infosys," Murthy quipped. Analysts said Sikka's appointment will help end uncertainty at the firm. "It resolves the longer-term leadership issue. Further, with the strong technological background of Sikka and services background of Rao, we believe Infosys could be uniquely positioned for its next leg of growth," Barclays Head of India Research Bhuvnesh Singh said. Deutsche Bank India Research Analyst Aniruddha Bhosale said with Sikka's stature and experience with products and innovation at SAP, he will command the respect of Infosys' leadership team and employees. "However, with his products background, we are concerned about Sikka's ability to run a services company. This could also have implications on his view of costs and hence margins," he added. Sikka brings the necessary gravitas to the role, IDC VP and General Manager South Asia Jaideep Mehta said. "Sikka will also likely to be able to attract new management talent to strengthen Infosys' depleted management bench," he said.